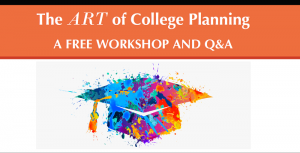 On Thursday, September 20, 2018, Rye-based college planning and academic achievement company Novella Prep will hold a free workshop and Q&A for parents looking to maximize their child’s potential through the arts and get a head start on college planning. At 6:00pm in the Music Conservatory of Westchester’s Recital Hall in White Plains, representatives from several well-established arts organizations in Westchester County will share the stage to offer guidance to parents on how to take advantage of artistic and creative opportunities for their children from the middle school years through the college admissions process. The program will also be livestreamed via Zoom on Thursday, September 20 starting at 6:30pm. Livestream link is available with digital RSVP to the event. The focus of the discussion will be how various arts programming ranging from music and visual arts, to theatre and dance can positively impact a child’s development and enhance their college applications. Parents and students in grades 7-12 will gain and understanding of developmental and cognitive benefits of the arts that contribute to academic achievement. The workshop will also integrate insight on how arts participation and enrichment can benefit students applying as any college major. During the workshop, Novella Prep founder F. Tony Di Giacomo, Ph.D. will lead the discussion and Q&A session to follow. There will also be time to speak with representatives from the participating arts organizations one-on-one after the Q&A portion of the workshop. Parents are encouraged to bring their children in grades 7-12 to share and learn from the conversation.